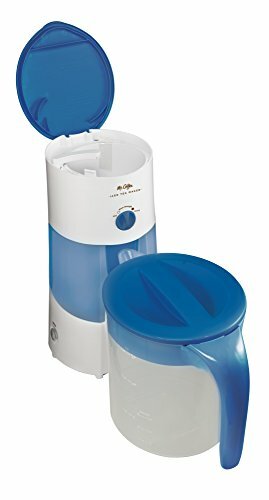 REMOVABLE WATER TANK : Conveniently monitor water levels of front view transparent tank (41oz capacity). 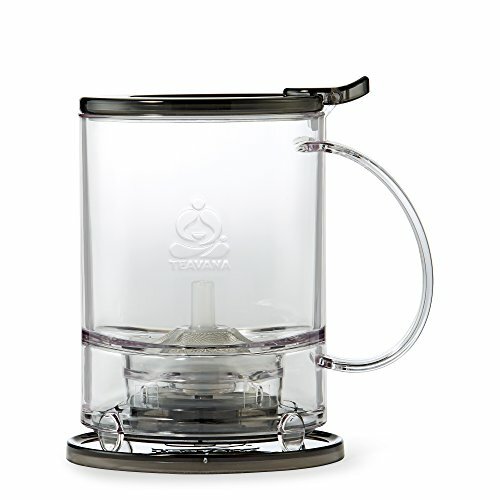 Handle is included on tank for easy removal for cleaning and refilling. 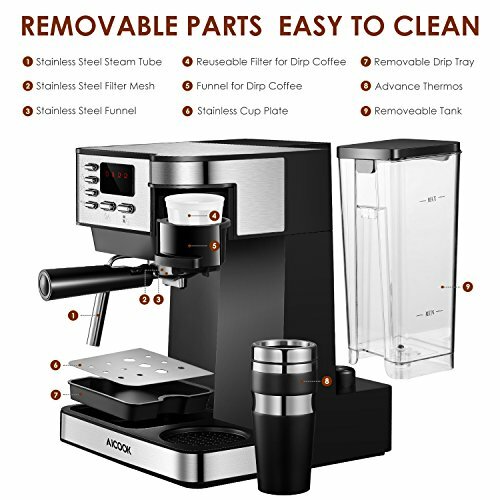 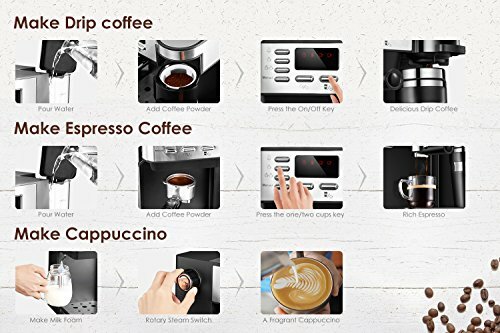 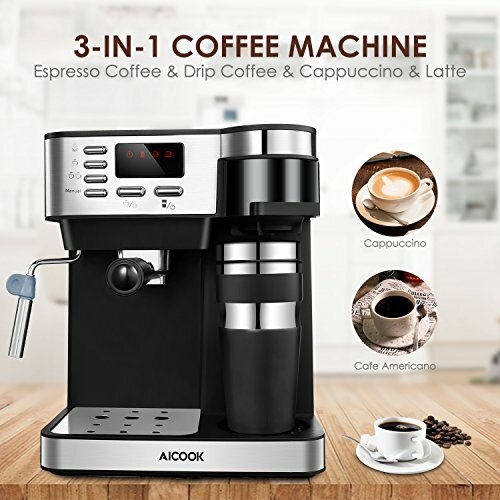 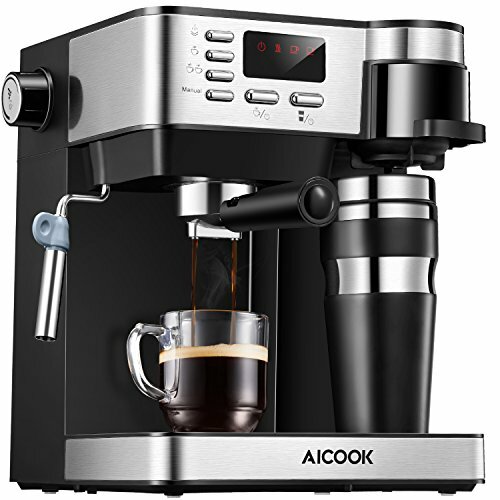 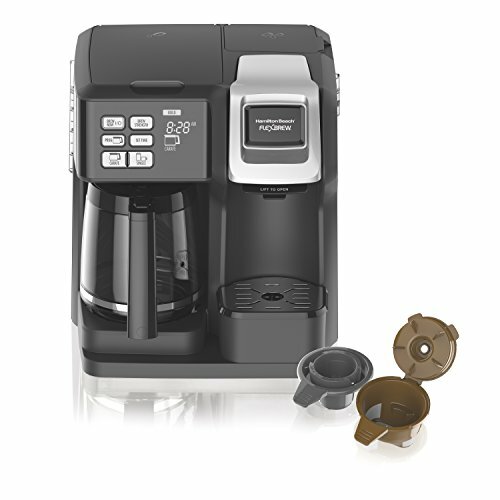 Aicook 3 in 1 Espresso and Coffee Maker,You can be your own barista. 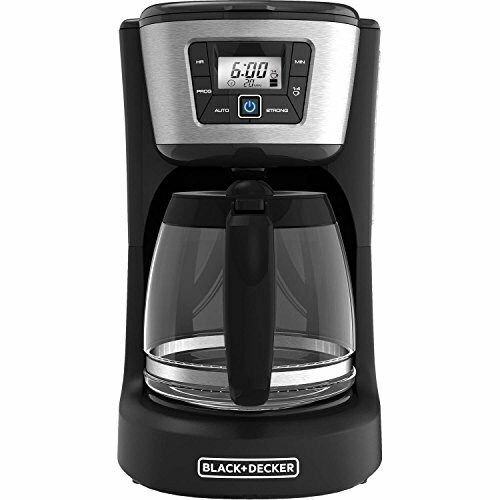 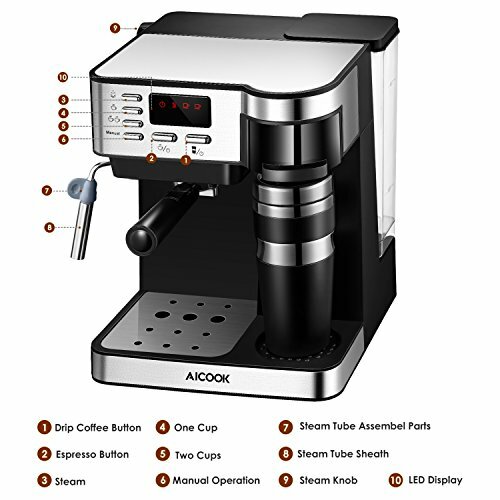 With Aicook espresso&coffee maker,you can get all the coffee that any of you wanted, in any style, such as American-style coffee,Cappuccino,latte. 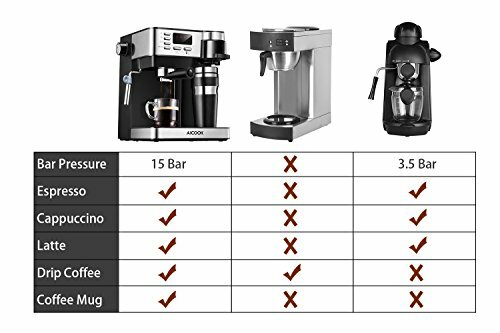 Saving the money you normally spend at that coffee shop. 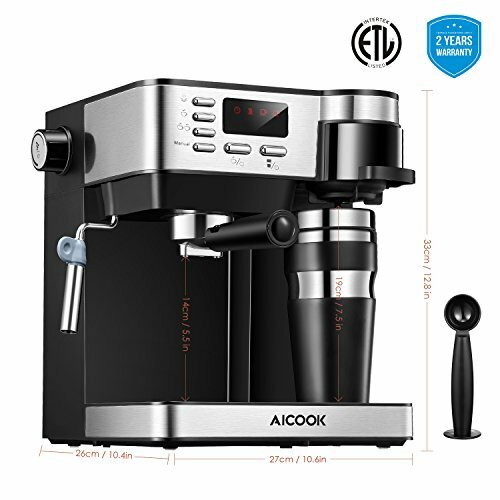 2-YEAR WARRANTY : The espresso machine is backed by our 24-month warranty.But our friendly service are available for a lifetime,our service teams will be always on your side.